Probably that’s the only case when the famous AK-47 is being used in peaceful purposing, at least some parts of it. 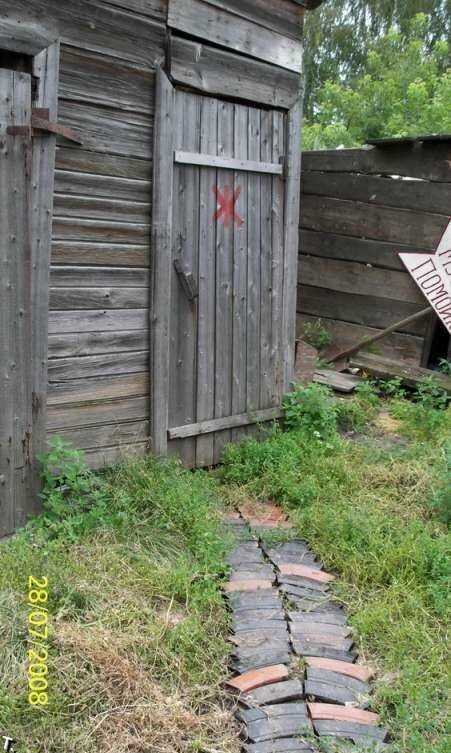 This ex-officer got somewhere a lot of those and couldn’t find a better way for them than to make the paths between his huts in such a manner. Those are orange bakelight mags! They sell for $50-$100 each in USA! Do yall know how much those would sell in the United States. I use AK mag as condom. I can wash it after use or when it is full. Even if you could export them to the US, some douche bag would squeal to the authorities. I don’t think there would be anything illegal about shipping magazines stateside to be sold. Guns are heavily regulated regarding importation, but foreign gun parts are imported all the time. 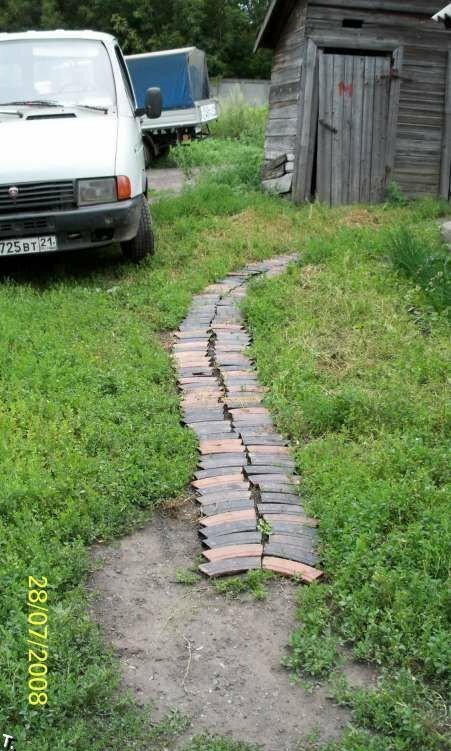 He either didn’t think to sell them or doesn’t want to bother with it. Also, has anyone noticed the apparent lack of followers? Some of the mags just looks like hollow bakelite tubes with the feeding system removed. oh i forgot ! : Thanks, great post. Lets hope there were no bullets left in those! 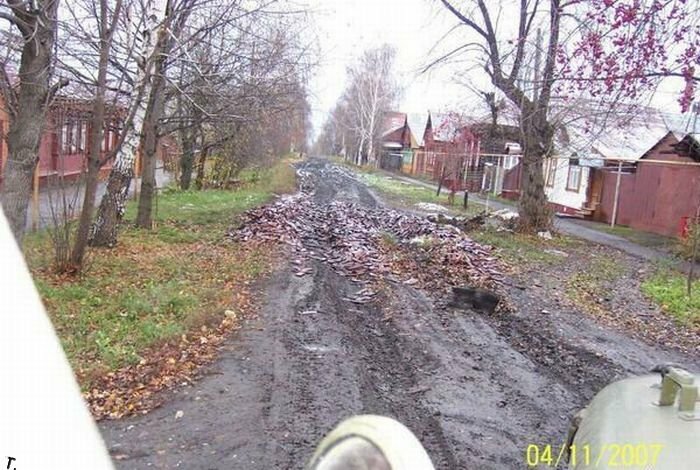 A tire could get shot flat! 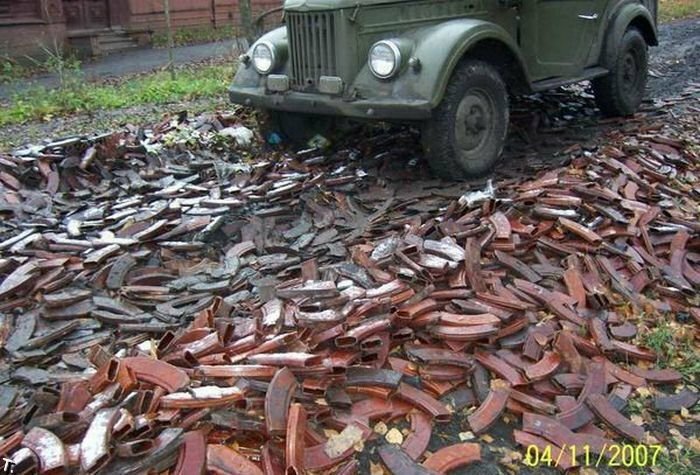 Those are 30 round bakelite mags, they would go for less than $30 each here in the states. Though you can get surplus (used) Romanian and Yugoslavian metal mags for as low as $10 each in most cases. I picked up some brand new Korean mags for $10 each a few months ago. 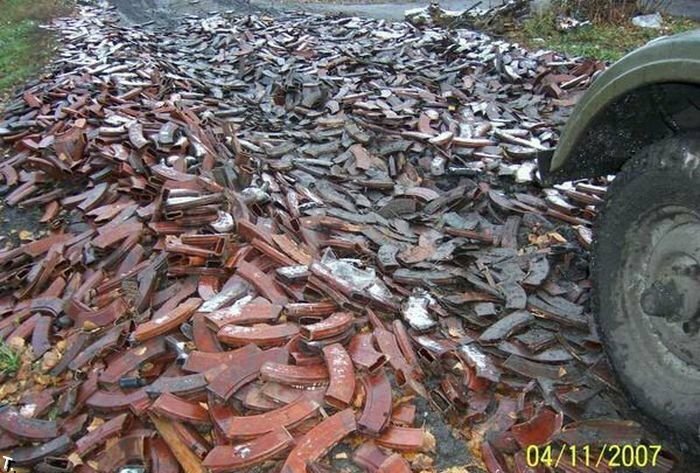 There are billions of AK mags around the world, these don even come close to hurting the supply. well you Russians sent them mags for sales and make some money ! dont waste your resources …..
Those are empty magazines in the images not guns… There is not one AK-47 to be seen anywhere. This article is misleading and retarded.